Our relaxation massage is a smooth, gentle style of massage, designed to improve circulation, relieve minor muscle pain and, most importantly, de-stress the body and mind. This massage uses warmed oil on your skin to enable our massage therapist to work your muscles, and ease those tensions away. This type of massage helps to promote overall wellness, by massaging away the built up tension and day to day stresses in your life, leaving you relaxed, calm and rejuvenated. This massage is so relaxing and blissful, that often our clients fall asleep during it. 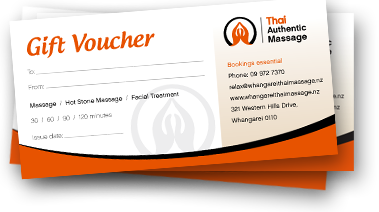 Experience a true relaxation massage; enjoy a moment of time to yourself; replenish your body, mind and spirit with a beautiful massage from Thai Authentic Massage. Contact us today to book your appointment. 30 min – $40, 60 min – $70, 90 min – $100, 120 min – $130.